Today I am participating as design team member of Pretty Pink Posh. 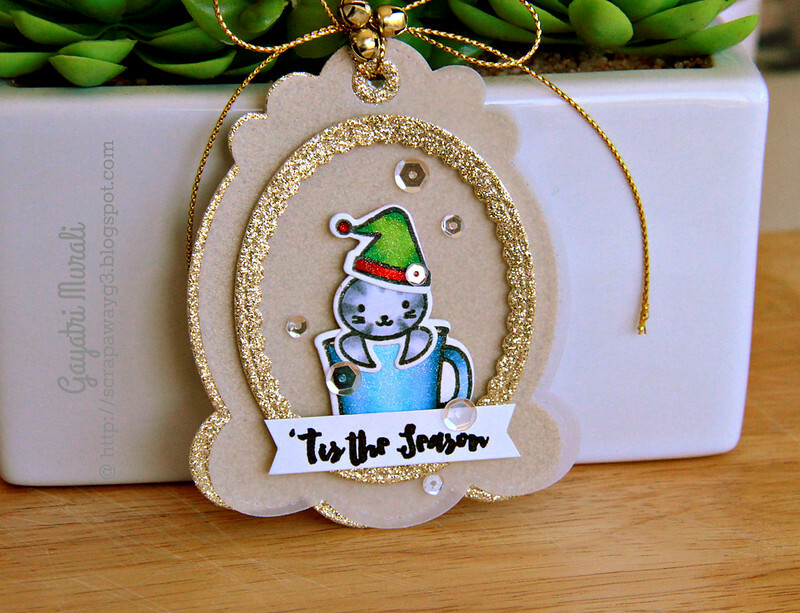 Here is Christmas tag using Pretty Pink Posh’s stamp set and dies. I have used the Decorative Tag die to die cut two tags. One using vellum cardstock and the other with gold glitter cardstock. I punched a hole on top of the tags and set them aside. I then die cut the scalloped oval insert using gold glitter cardstock. 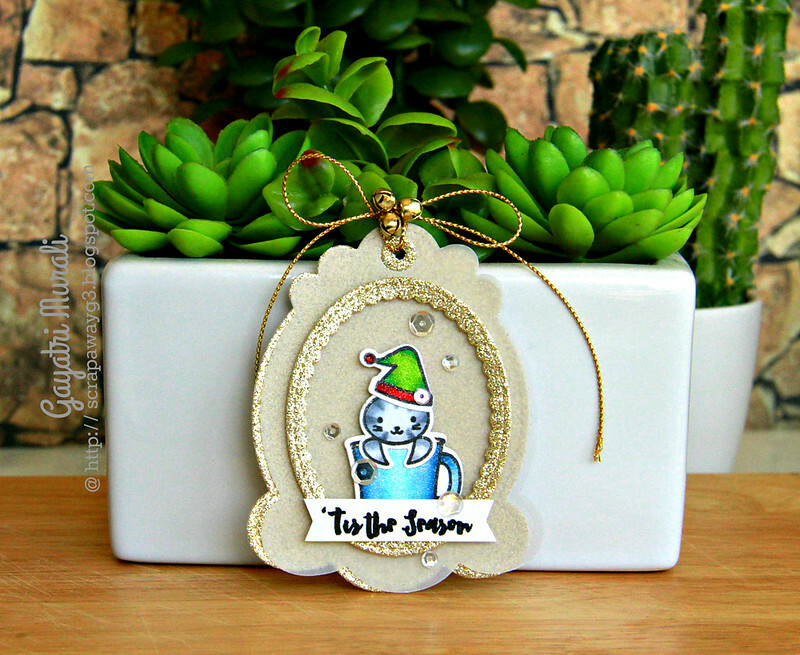 For the focal point, I stamped, coloured and die cut the cup, cat and Christmas hat from Winter Friends stamp set and coordinating dies. I then glued the cat image over the cup and added the hat over the cat. I adhered the scalloped oval insert over the vellum using foam adhesives for dimension. The focal stamped image is also adhered inside the oval frame using foam adhesives. Then I stamped the sentiment from the same stamp set on a strip of white cardstock, trimmed fish tail banner and added to the bottom of the oval frame. Finally embellished with Sparkling Clear sequins.Then I layered the vellum decorative tag over the gold glitter tag tied them using gold twine and three jingle bells also from Pretty Pink Posh. I also brushed Wink of Stella shimmer on the hat which you can see in the photo below. love this! may I ask how big is the hole punch for the top of the tag please? Amy I used the cropadile tool to punch in the hole. The decorative tag die had the die to cut out the ring. I have glued the glitter ring over the punched hole. Beautiful tag Gayatri!! Love the jingle bells!! The glitter card stock has a nice effect!! This is adorable Gayatri, love the little jingle bells!